Reach Floss Coupon, Only $0.47 at Walmart! 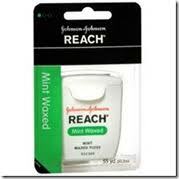 Use the new printable coupon for Reach Floss and pick up this product for more than half off! Using a high-value coupon with Walmart’s everyday low prices keeps money in your wallet!